Discover NEWLY RENOVATED guest rooms, an outdoor swimming pool and grill gazebo and exciting amenities including free Wi-Fi and a free Bright Side Breakfast® at our modern Gulf Coast hotel. Fresh infused water, Keurig drink selections and fresh fruit available in our lobby 24/7 for your enjoyment! 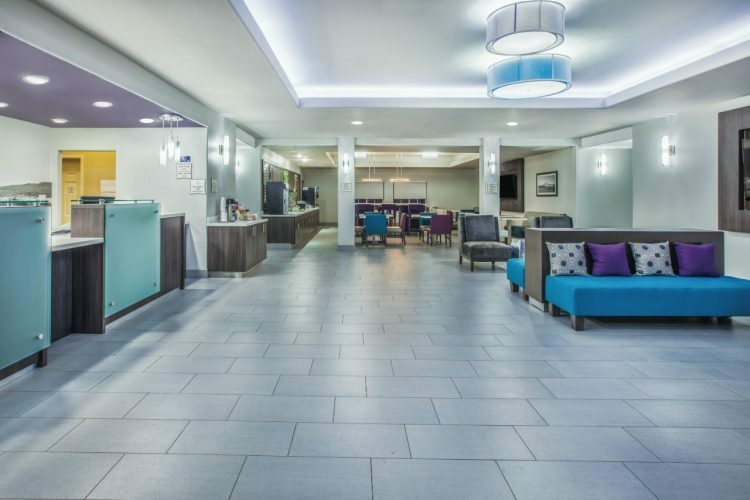 Whether you are visiting the area on oil industry business, a romantic getaway or a family vacation, our cheerful hotel is the smart choice for lodging. Each spacious room features a microwave, refrigerator and a 32” television. Our hotel also features a meeting space, guest laundry facilities, free parking and much more. Pets are always welcome free of charge!